High adventure from a master storyteller about one boy's attempt to fend for himself among cruel orphan masters, corrupt magistrates, and conniving thieves. In the seaside town of Melcombe Regis, England, 1724, Oliver Cromwell Pitts wakes to find his father missing and his house flooded by a recent storm. He's alone in his ruined home with no money and no food. Oliver's father has left behind a barely legible waterlogged note: he's gone to London, where Oliver's sister, Charity, is in trouble. Exploring damage to the town in the storm's aftermath, Oliver discovers a shipwreck on the beach. Removing anything from a wrecked ship is a hanging offense, but Oliver finds money that could save him, and he can't resist the temptation to take it. 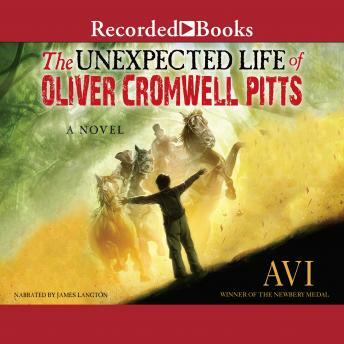 When his crime is discovered, Oliver flees, following the trail of his father and sister. The journey is full of thieves, adventurers, and treachery--and London might be the most dangerous place of all. In the tradition of his Newbery Honor book The True Confessions of Charlotte Doyle, Avi mixes high adventure and short, page-turning chapters with a vivid historical setting featuring a cast of highwaymen, pickpockets, and villainous criminal masterminds.